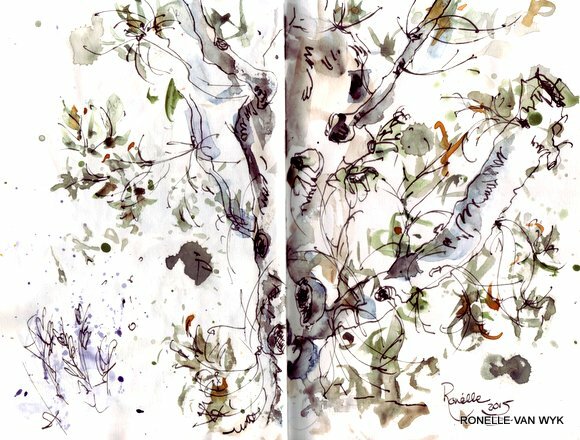 by Myfrenchkitchen.In aquarelle, architecture, art, contour, everyday in May sketching, food, Food art, food painting, food sketches, france, garden, Garden sketches, Illustration, Ink, macarons, nature sketches, pen, Prera pilot pen, sennelier aquarelles, sketchbook, sketches, sketching, Stillman & Birn sketchbook, watercolour, watercolour painting, watercolour washes.6 Comments on Every day in May – (1)a favorite food and (2)a tree. 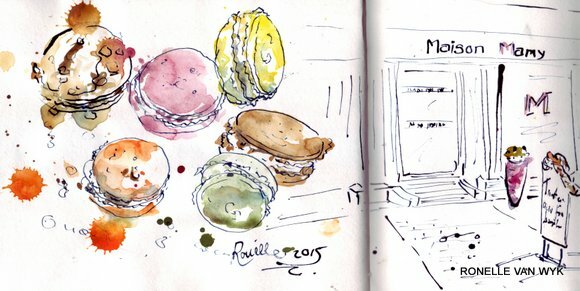 Love the food description almost as much as the macaroon painting – the way you added the colour is fabulous! Previous Previous post: A sketch in centre ville in Beaulieu. Next Next post: EDM art 3: – Curtains.